Can the Warriors rebound from their lost against the Heat? You know, I'd like to say the Warriors will lose this one because the Warriors let any regular shooter look like Kobe, but knowing the Warriors, a performance like against the Magic won't discourage them. Like I said, the freezing weather coming to town starting tomorrow will heat up the Warriors and cool down the Heat! Warriors win in single digits. Nellie gives a good spanking during Thursday's practice with his mouth and head coach power. We need a win. This team is in a funk and no one is stepping up. A blow out would be nice but ill settle for a win. The heat are more then beatable they are sad. We need Baron to Take this team back onto his shoulders. The next three are very winnable. Come on Guys hold on . Wait, WHAT'S the Heat's record right now...?!?! I'll be at this game, so if the Warriors don't win... I'll spend $100 at the game getting hammered drunk. The Heat are playing better now. They have Wade back, and have settled for a rotation with less minutes for wild cards like Dorell Wright. They're trying to be back in the playoffs as soon as possible. Anything can happen, as Nellie will be pretty pissed after the performance against Orlando, but we're pretty banged up right now. I'm calling a Heat win in a close game. I am worried about tonight's game. I have a bad feeling about it. As has been mentioned by others, the Heat are playing better this month and I am not sure the Warriors can stay with the Heat, even without Shaq. I am going to go on a limb here and say that I would not be shocked to see Shaq suit up and play a bit tonight. He was practicing on Thursday and with a small front line, Shaq could dominate this Warriors team. I guess I sound pessimistic, but I think the Heat will win tonight unfortunately. I heard Shaq is coming back pretty soon??? AB will get dominated by another physical post player!!! AB plays to soft and doesn't give hard fouls just like the rest of the team!!! The Warriors need a victory worse than a dead man needs a coffin. if the dont win tonights game, then the game on monday will be even bigger. They play the Clipps back to back. They will need some sort of momentum going into both these games ,if they even stand a chance on beating them. The clipps look like they are trying to come out of their year long slump at the right time. They are currently on a 3 game winning streak heading into the show down against the Warriors for the 8th spot. This would be the last thing we need to start the weekend off wrong ,and lose the game against the Heat. GO WARRIORS!!!!!!!!!!!!! I wonder if Nelson would rather forfeit the game than play Ike? I love the fans sitting behind Jim and Bob. They are very loud and very pro Warriors and anti refs. They are much more entertaining to listen to on TV than our guys. They really got pissed on Wade's layup/foul when no Warrior was within a foot of touching him. I'm a little confused after watching the W's Round Table before the game. Bob and Jim had Jason on and kept saying over and over how all the W's had to do was hang around .500 til Jason came back. Then when Jason comes back they will go on some incredible winning streak (all because of Jason of course) and easily make the playoffs. As much as this fantasy sounds fun, I just don't see that happening. I like Jason, but he really struggled without the ball in his hands all the time and that won't change when he comes back. Even though that tracker thing said the W's only had a 5% chance of winning, I think we'll pull it out. 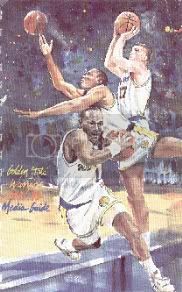 We just need to go inside a bit more and stop that Damn Kapono (is he Reggie Miller against us or what?) 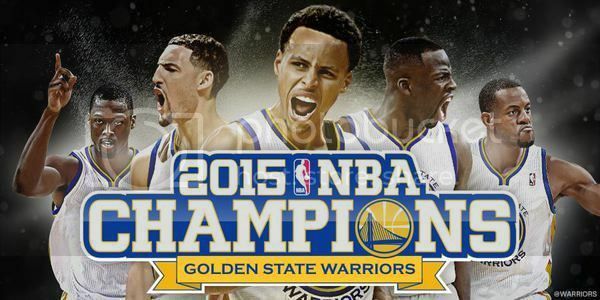 GOOOOOOOOOOOOOOO Warriors!!!!!!!!!!!!! THis team looks like it has no will to win. If they dont change pretty damn soon you can kiss the season goodby. They got discouraged by the horrible calls from the refs and let that take them out of their game. Its only the end of the third right now and I dont even have to watch to tell you were are going to lose this game and not by a little. Who knows maybe im wrong and maybe they make a miracle comeback and win and i hope they do prove me wrong but this is just disgusting to watch. Along with dwane wade getting every call from ****ing BENNETTE SALVATORE! The worst ref in the league. Anyone else think D-wade must be blowing salvatore before games? Anyways im getting off topic no one is playing well and they are not playing together at all. I think Nelson needs to start taking some heat also this team is not looking well coached at all. What a life a warriors fan lives... oh well its still better than cheering for the lakers. Only Azubuike deserves any sort of credit. The downtrodden Heat walked all over the team at home! This may be the beginning of the end, like last season. The defense has got to get better for anything good to happen because other teams just score at will and have it easy. Good post, Broe. And nice of Baron to accept responsibility—but what’s going on is not his fault, of course (or, he’s the least of our problems). Hell, he’s shouldering the load, and there’s only so much he can do. #32 wrote: Wait, WHAT'S the Heat's record right now...?!? !